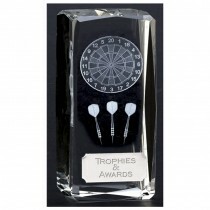 Bude Trophies offer a collection of engraved glass trophies. We use traditional methods combined with modern technology is our Cornish workshop. We are able to engrave most club logos onto our plain glass trophies.